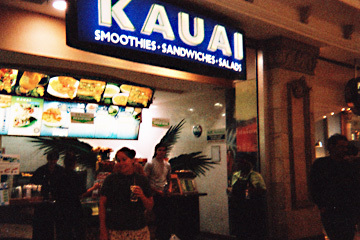 Tara Donohoe of Palolo Valley poses in front of the Kauai stand in a mall in Durban. She discovered the health food chain while in South Africa. 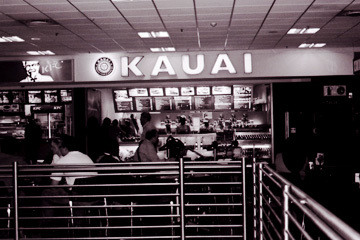 Above, Donohoe snapped a shot of the shop in the Johannesburg Airport.